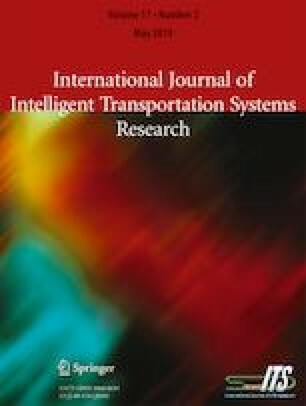 Travel time variability (TTV) must be considered in evaluations of the effect of traffic control on transport network performance. The objective of this paper was to investigate the relationship between a travel time variability diagram (TTVD), which relates average travel time to its standard deviation, and a macroscopic fundamental diagram (MFD), which relates average network flow to its average density. Recent studies indicated hysteresis loops in TTVD (for journeys with the same average travel time, the TTVs for departures as congestion dissipates are higher than the TTVs for departures during congestion onset) and in the MFD (with the same network density, higher network flows occur during congestion onset than during congestion offset). Based on a simulation results, we evaluated the correlations between these loops in a multimodal network. Strong correlations were found between TTVD and MFD loops. Next, we developed combined diagrams of travel time standard deviations against network flow and density. These diagrams revealed the presence of a critical network flow and density during congested periods; beyond these critical points, the TTV increases sharply. These findings may facilitate evaluation of management strategies that consider both traffic flow and reliability measures.